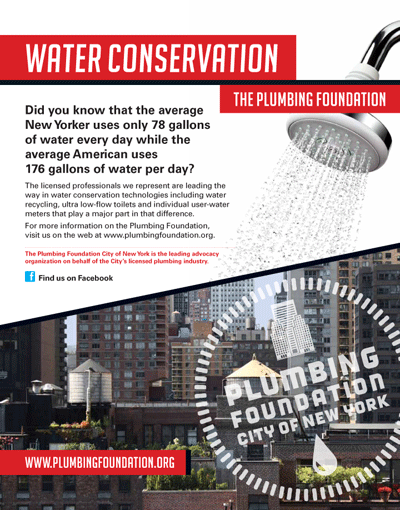 The Plumbing Foundation | The Plumbing Foundation City of New York, Inc. 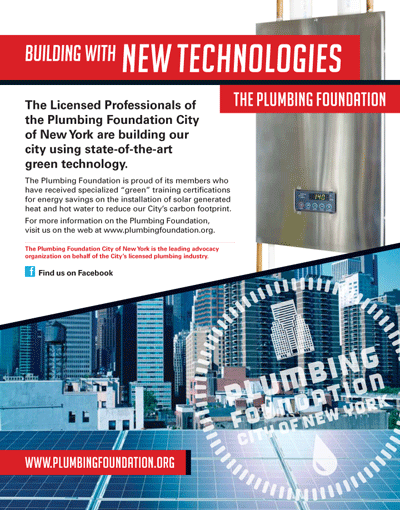 The Plumbing Foundation City of New York, Inc. 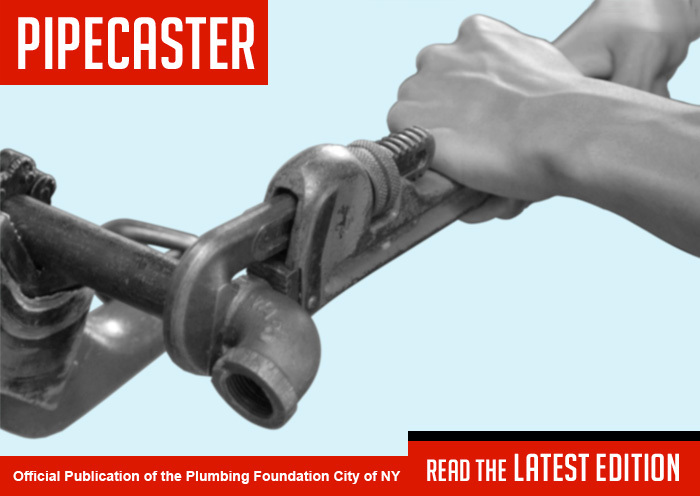 The Plumbing Foundation is pleased to inform the industry that on April 9, 2019, the New York City Council passed Intro. No. 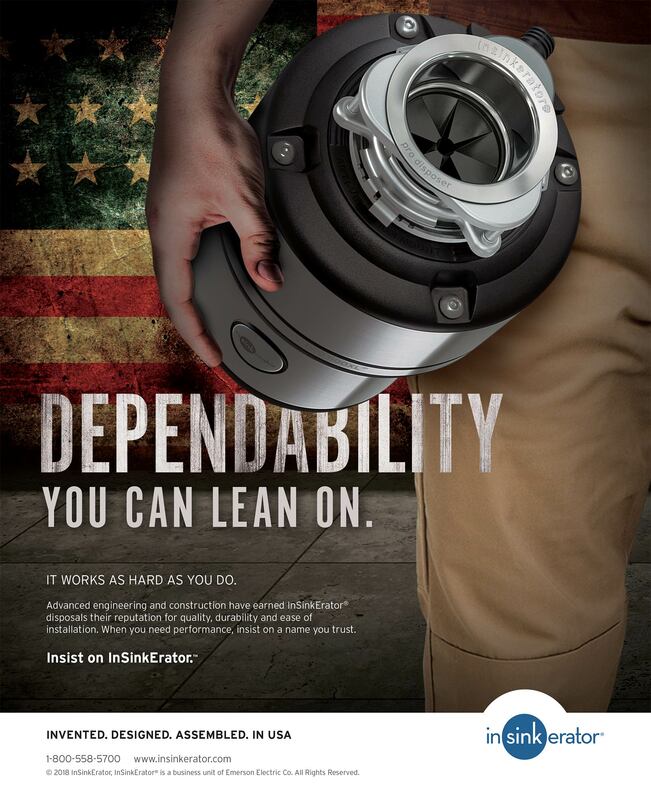 1157-B, which establishes qualification requirements for those inspecting and cleaning, coating, and painting water tanks. We commend the bill’s sponsor, Council Member Mark Levine, Chair of the Health Committee, as well as the co-Sponsors, and the entire City Council for passing legislation that ensures that water tanks are properly maintained. The City Council passed several other bills in the package, including on the reporting of inspections, to further strengthen the laws surrounding water tanks. There have been several reports of contamination and neglect of inspections and maintenance of the City’s water tanks. Click here to read a recent article covering the issue. 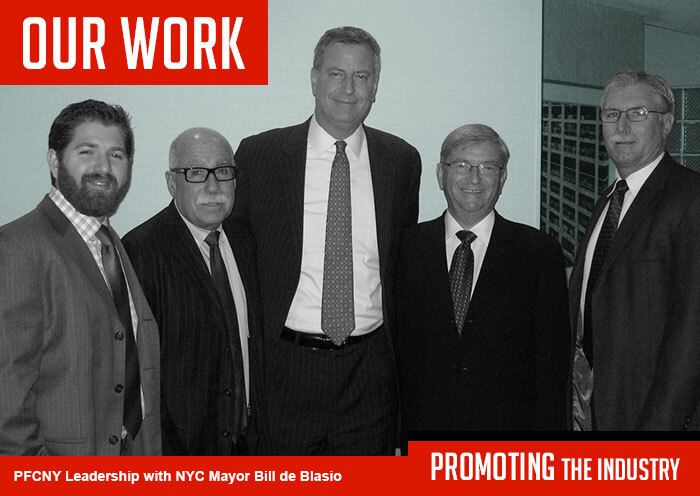 The Plumbing Foundation worked closely with the City Council on Intro. No. 1157-B, which for the first time in the NYC Administrative Code and the Health Code defines a water tank inspector as (i) a licensed master plumber pursuant, (ii) a person who works under the direct and continuing supervision of such a licensed master plumber, or (iii) a registered design professional. Prior to this legislation, the law was silent on who is required to conduct such inspections, which were commonly done by landlords and building owners themselves. Requiring that the inspector is a qualified and experienced person will ensure the integrity of such inspections and the health of NYC residents. Intro. No. 1157-B also establishes more stringent criteria for those cleaning, coating, and painting water tanks. The new legislation will now make sure that the person conducting maintenance on water tanks is either a water tank inspector (i.e. a licensed plumber, someone working directly for a licensed plumber, or a registered design professional) or is a person who holds a commercial pesticide applicator certification in category 7G issued by the New York State Department of Environmental Conservation or works under the direct supervision of a person holding such certification. Establishing clear criteria for who can maintain a water tank will decrease the instance of contamination and increase the safety of the necessary potable water source from diseases like E. coli and Legionnaires’. Number of violations issued in the preceding calendar year for failure to file an annual backflow prevention device test report with the department. 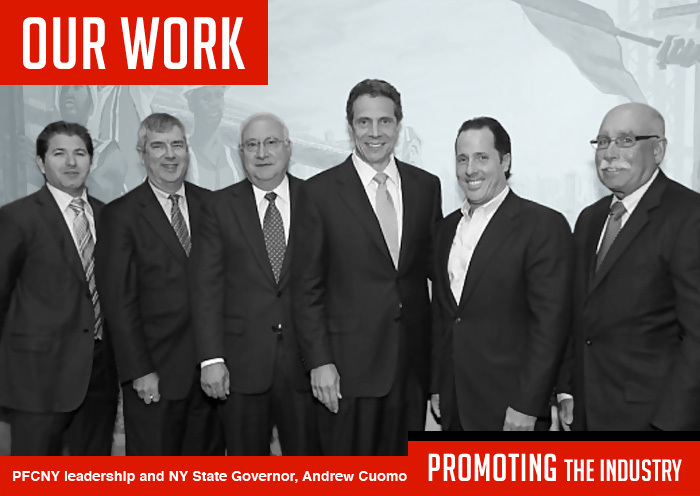 The Plumbing Foundation City of New York, Inc. has been vigorously pushing for this legislation for a number of years. We commend the sponsor Council Member Donovan Richards, Chairperson of the Environmental Protection Committee and co-Sponsor Costa Constantinides, and the entire City Council for passing such necessary legislation. “Backflow” occurs when drinking water is contaminated by hazardous substances. It happens when street pressure pushes water into buildings where dangerous materials and chemicals may exist, and no device prevents that now contaminated water from re-entering the drinking water supply. Sometimes water flow can be reversed due to a water main break or a mistaken or accidental cross connection between the building’s water distribution and drainage systems. Therefore, it is vital that buildings install and maintain backflow prevention devices to prevent the harmful results of contaminated water, which can contain bacteria like E. coli and Salmonella. Please click here for the full text of the law. 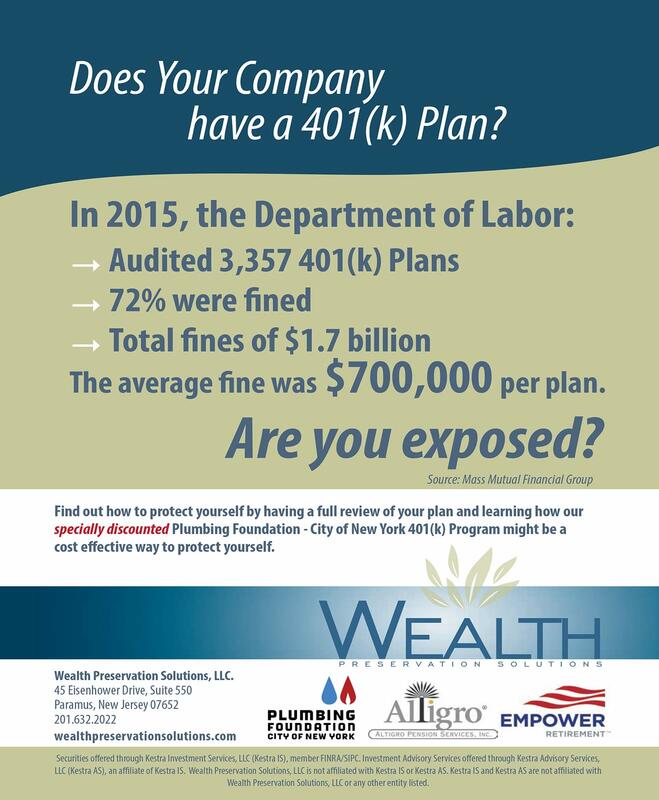 As you may already be aware, the NYC DOB began an enforcement program in 2016 which targets plumbers with “high rates” of denials of their sign off and gas authorization requests. The survey is to gather more information from the industry on whether you have been issued a violation, whether you have settled and on what terms, the reason for the denials that were subject of the violation, what your overall “rate” of denials is, and what feedback you may have for DOB regarding the system and processes in place to make it more clear and streamlined for the industry to comply with codes, rules, and policies. 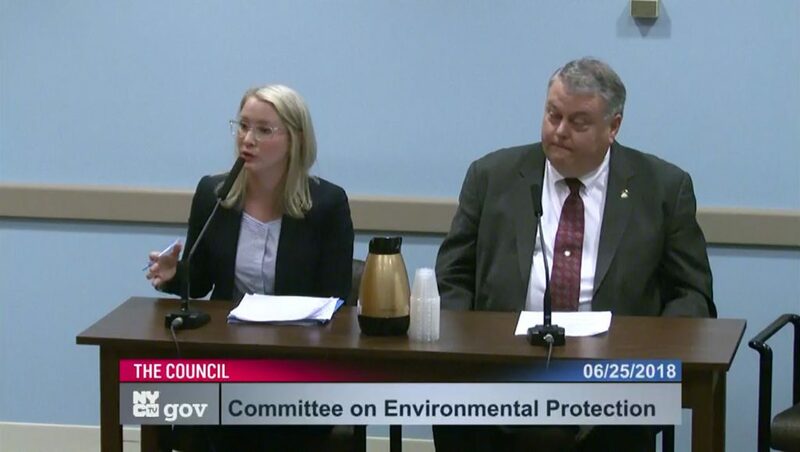 On Monday, June 25, 2018, April McIver, Executive Director of the Plumbing Foundation, testified at the NYC Council Committee on Environmental Protection Hearing in support of Intro. No. 268. This bill, introduced by Council Member Donovan Richards, requires building owners to report on the installation of backflow prevention devices, and requires the NYC Department of Environmental Protection (DEP) to report the estimated number of buildings requiring such devices and compliance rates of such buildings. “Backflow” occurs when drinking water is contaminated by hazardous substances. It happens when street pressure pushes water into buildings where dangerous materials and chemicals may exist, and no device prevents that now contaminated water from re-entering the drinking water supply. Sometimes water flow can be reversed due to a water main break or a mistaken or accidental cross connection between the building’s water distribution and drainage systems. Therefore, it is vital that buildings install and maintain backflow prevention devices to prevent the harmful results of contaminated water, which can contain bacteria like E. coli and Salmonella. Executive Director McIver testified in support of Intro. No. 268 but also provided the Council with recommendations on how to strengthen the bill’s provisions. The Foundation’s proposed amendments included requiring DEP to report actual numbers rather than estimates, and to increase fines for failure to install a required backflow prevention device. 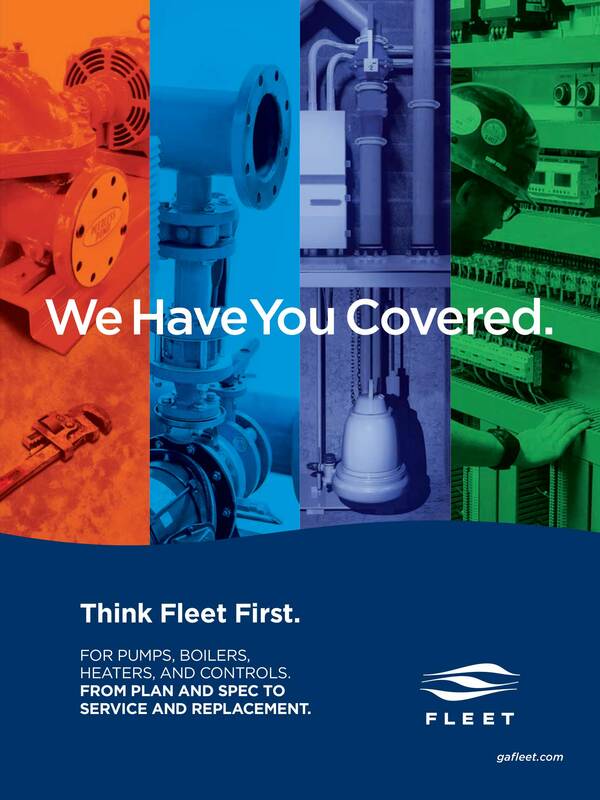 Currently, fines imposed on building owners are lower than the actual cost of installing backflow prevention devices, which incentivizes owners to just pay the lower fine rather than pay for installation. Also testifying in support of the bill was Arthur Klock, Training Director for Plumbers Union Local No.1 (pictured above). 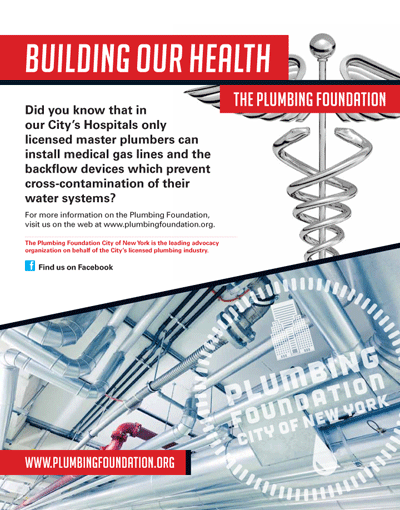 The installation of backflow prevention devices should be considered a public health priority by the City of New York. It is apparent that the understanding of and compliance with backflow prevention is still an issue at large in the City. There is limited transparency on the part of DEP regarding enforcement, installation of backflow devices, and proper comprehensive reporting­—all of which needs to change. 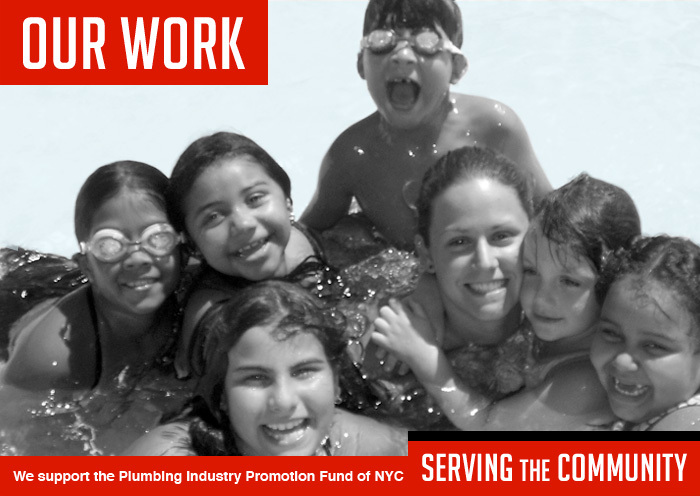 The Plumbing Foundation will continue to work with the City Council and City agencies to increase transparency and enforcement. City of New York, Inc. 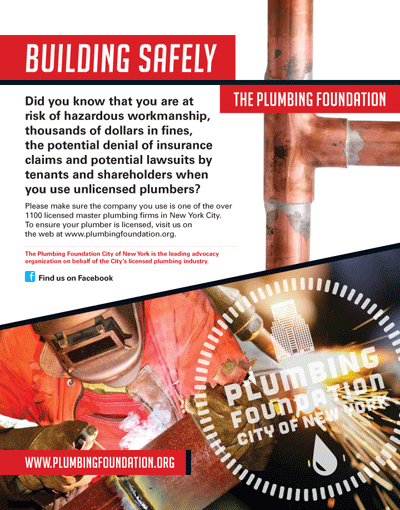 Established in 1986, is a nonprofit association of licensed contracting firms, engineering associations, manufacturers and suppliers whose mission is to insure the public health through the enactment and enforcement of safe plumbing codes.